Christopher Oakes, Director of Operations and Development at Sustainable Ocean Alliance. Christopher is a marine scientist and biotechnologist with an academic background in both marine biology and immunology. As a researcher he focused on life history studies of nearshore marine fishes, marine environmental monitoring, and time series analysis and spatial modeling. His graduate thesis evaluated net-cage aquaculture’s value as a fish attracting device off Catalina Island, and his side projects included morphological studies of a pharmaceutically valuable sea-snail. 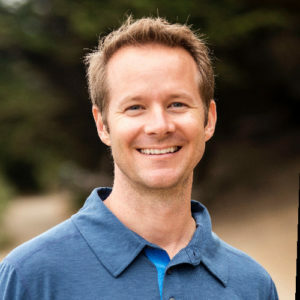 In business Chris, has a passion for building teams and operations focused on molecular tools and diagnostics, robotics, and the development of fish-free feeds and biological filters using synthetic biology. He loves kitesurfing, mountain biking, and has a passion for capturing the diversity of the underwater world through photography.